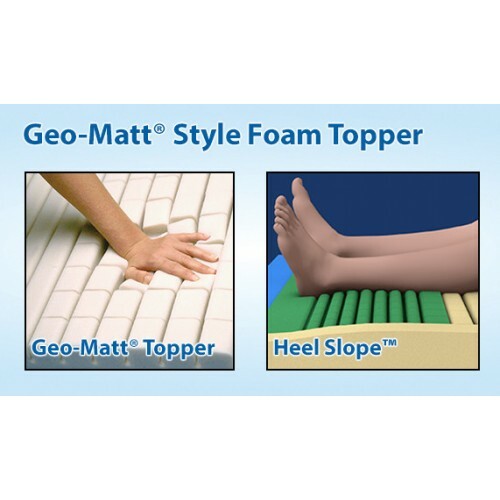 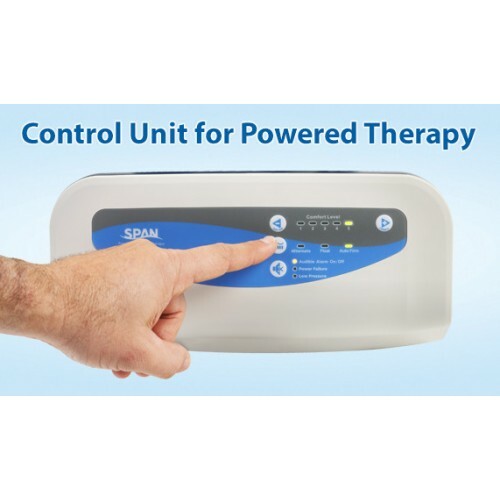 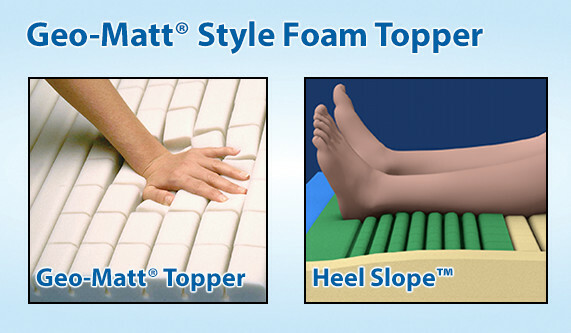 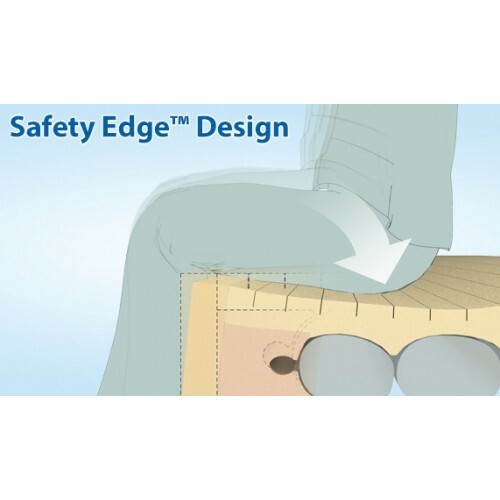 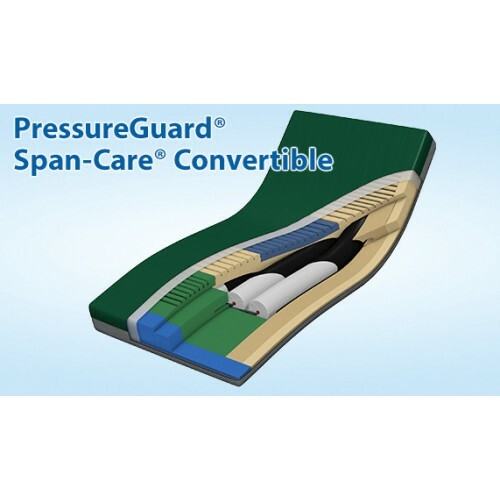 Span-Care convertible for pressure injury prevention in at-risk patients, early intervention of existing pressure injuries, or when a step-down surface is called for. 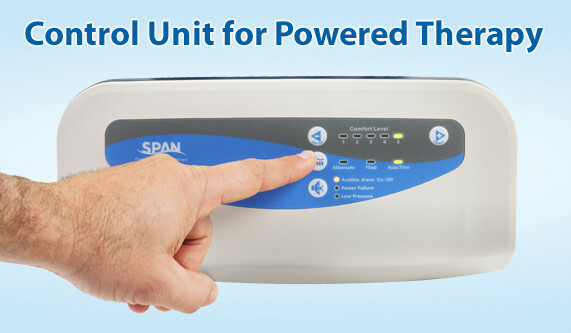 Its self-adjusting system of synchronized air cylinders and pressure relief valves provide the correct level of immersion and envelopment for any user. 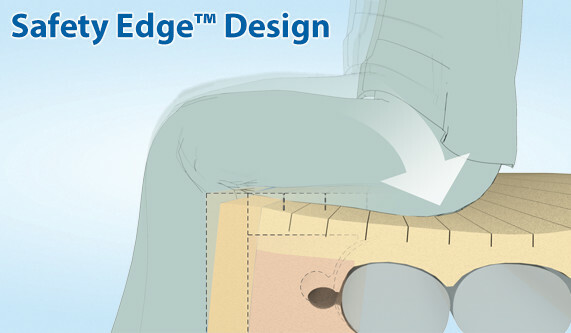 Adjustable comfort settings, audible low pressure alarm and a timed auto-firm mode ensure maximum usability. 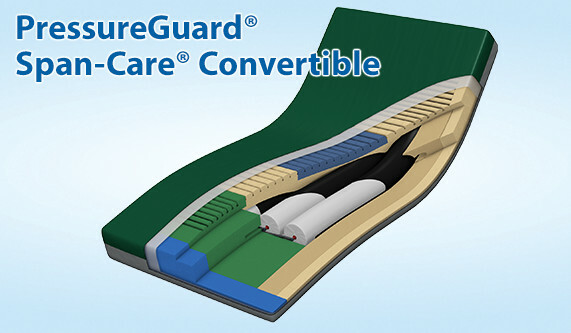 Span-Care convertible delivers an unmatched combination of extreme patient comfort, crucial safety and stability, proven pressure management and maintenance-free reliability. 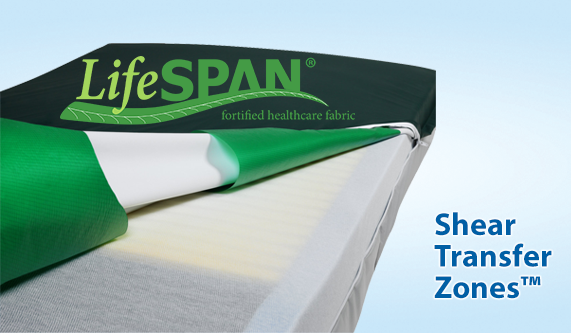 The cover’s enhanced features include the unique design of the anti-microbial bi-directional stretch cover made with Span’s superior LifeSpan® fabric. 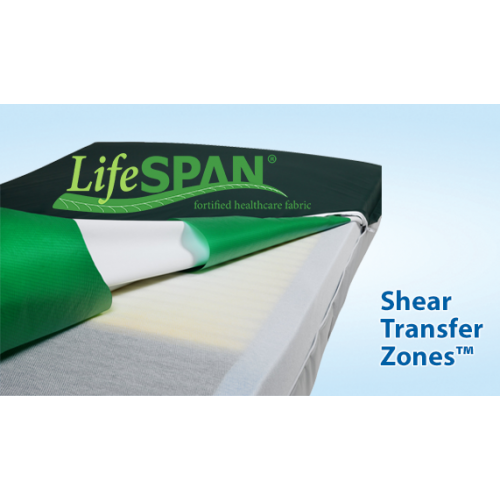 LifeSpan® is extremely durable and cleanable and delivers outstanding resistance to chemical breakdown caused by bleach and other harsh disinfectants with its polycarbonate-fortified coating.